In the weeks after multiple allegations of sexual misconduct were made against two Texas senators last year, their colleagues called for “zero tolerance” and said changes “must happen now.” Five months later, lawmakers still haven’t updated the Senate’s 23-year-old, one-page policy, which doesn’t establish a formal process for investigating complaints. 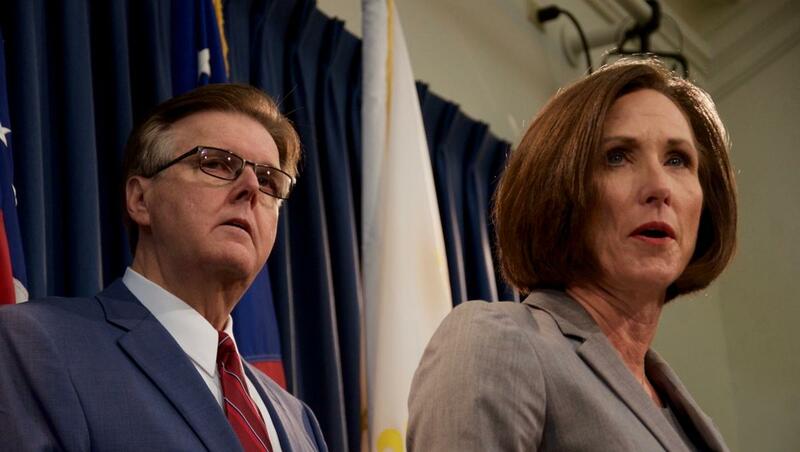 Shortly after the Daily Beast published the allegations against Democratic state Senators Carlos Uresti and Borris Miles in early December, Lieutenant Governor Dan Patrick tasked Senator Lois Kolkhorst, R-Brenham, with reviewing and updating the Senate’s policy on sexual misconduct. “I understand there are rumors, innuendos and allegations in both the House and Senate about both members and staff having inappropriate behavior. Sexual harassment should not and will not be tolerated in the Texas Senate,” Kolkhorst told the Observer at the time. Still, at a December 14 meeting of the Senate Administration Committee, which Kolkhorst chairs, senators heard only from the Secretary of the Senate and the head of human resources. Not once were senators Miles and Uresti mentioned by name during the hearing. Since then, Kolkhorst has met with staff from every senator’s office to discuss the issue and performed “an exhaustive review” of policies from other states and state agencies, she told the Observer this month. “A revised Senate policy will be reviewed and released in the near future,” she wrote in an email. Asked for a more specific timeline, her office did not respond. To which we will add: In our conversations with Senate sources, we've been appalled at the...lack of a sense of urgency...this topic generates (and we're putting it very politely). Furthermore, while Uresti has become persona-non-grata since his criminal conviction, Miles has suffered no consequences. Of course, that's the reason why we're carrying our sexual misconduct convention resolution.